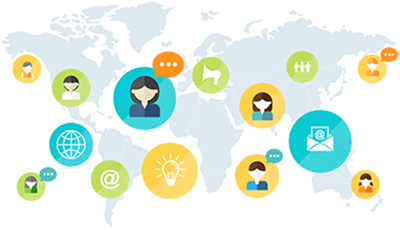 Is GetResponse the All-In-One Online Marketing Platform to Grow Your Business?....Let's find out! In this recently updated GetResponse Definitive Review, the EntrepreneursGateway.com Team take a look at how it fares in terms of features, templates, pricing, usability and much more! Just how easy is it to import a mailing list? What are its capabilities with creating newsletters? How good is its autoresonder so you can automate your emails? Can you view and analyze your statistics easily to increase your bottom line? A very well-rounded marketing platform, despite its age. One of the cheapest on the market and offers a free trial for 30 days. Clunky at times; however, the platform is quite easy to use. Live chat support as well as comprehensive documentation. Great community and Facebook groups. 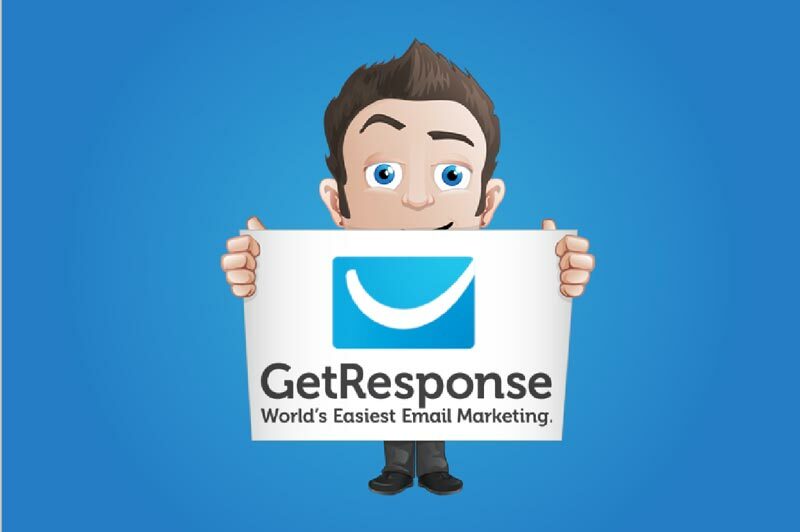 Is GetResponse the right Email Marketing Software for you? Support for website event tracking. Plenty of conditional elements and tags for automation. Good selection of form templates. An extensive collection of pre-designed templates. High-quality support channels, easily accessible. Visual automation builder is relatively tricky. Unable to build emails from within the automation builder. Minimal customization for some of the form types. It’s dated and minimal reporting interface. 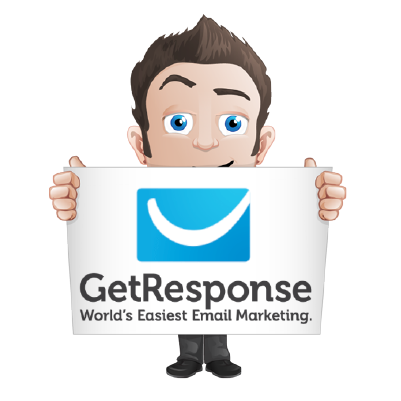 GetResponse is another established email marketing provider and all-in-one marketing platform, established in 1997. It is a well-developed email marketing tool and, to date has built up over 350,000 loyal customers. Now that we have seen the history behind GetResponse, let’s look at how well it performs for email marketing of today? In the following article, I will share my experiences with this software and highlight the pros and cons of the tools’ processes. In this section, you’ll discover which method GetResponse uses with list segmentation to ensure that you offer the right products to the people that are interested in them. GetResponse for subscriber management uses a custom-field and tag-based method. You may be wondering exactly what the difference is with this tool, but GetResponse shows this clearly. Firstly, I added values to my contacts, which was successful. By using automation workflows, it was easy to design behavioral-based rules for tagging. This is where the system’s true capabilities lie. For instance, you can design a smooth ‘trigger and action’ workflow to add tags to particular subscribers. These are potential customers who have clicked a link in one of your emails. By creating an altogether new automation workflow, you can take advantage of tags using conditions. Although this may seem like a straightforward example, I hope you can identify precisely why tags are a vital part of automation. Let’s talk about ‘web-event tracking’ – which, upon entering a snippet of code, allows GetResponse to track how your visitors interact with your website. This opens up an entirely new world of effective tagging. 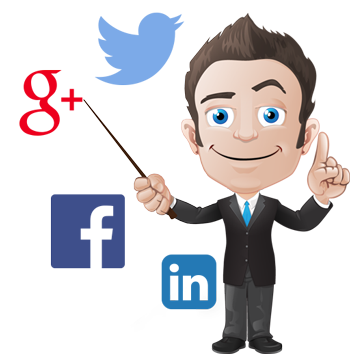 An example would be when a subscriber views a specific page on your site. Note, this is only one example; however, I’m in no doubt that you can see how capable this system can be when you start to implement dynamically added tags. Verdict: Aside from not being able to use manual tagging, this system allows you to sit in the driver’s seat when it comes to subscriber management and targeting. Automation is the main reason why people use email marketing right?…..
Can GetResponse automate your marketing to save you time and increase your profits? Having talked about automation within the last section, I’m positive you know that solid marketing automation isn’t purely dependant on tags. Let’s touch on the automation workflow builder. It’s here that you are most likely to spend a fair amount of time in if you choose GetResponse. Although building blocks and elements appear in the right pane, there may not be as many as some of GetResponse’s competitors. On the whole, though, the selection holds its own. Combining these elements would mean dragging to the workflow section, then dragging each point from one block to another. At this point, I became slightly frustrated. Having to change the connections around can get a little tricky, but eventually, you will get the hang of it. Not being able to design emails in the automation builder does lower my score here; the simple reason being you can’t! By adding what’s called, “Send Message” (see below illustration), you are then only able to select from existing emails, and unable to make one up on the spot. Having to keep coming out of the builder in order to create new emails really takes you out of your comfort-zone, making this an altogether lousy experience. Verdict: Despite picking up on some minor user experience issues, I feel GetResponse ticks off a lot of boxes when it comes to their automation functionality. In this section you’ll discover just how GetResponse manages it’s split testing capabilities? I can honestly say how surprised I was at the lack of A/B testing abilities for the more favored tools in this review. The good news is that GetResponse is one of the few who goes beyond the basic subject and delivery time testing. Alternatively, you can test real email content against one another. To reach the A/B testing setting, you must check the option as you design your email. Take care though; it’s not that obvious. As you make headway, you can then select which kind of test you want to run. In this example, I decided to test email content, and look at how seamless it is to set up. What’s more, you have the option to add a further five variations, which are a great bonus. Right, here is where you drag the slider to choose what percentage of your subscribers will be involved in your test, and who will gain the winning variant, not to mention a few other options that are available. Verdict: I was surprised by GetRespones split testing abilities, making this one of the better tools in this area. Let’s state right here….. that NO email marketing tool is fully complete without a form builder. This is a fundamental part of the puzzle when it comes to collecting emails. Are GetResponse’s form building capabilities enough to help you to build your forms seamlessly to ensure your leads are captured through whichever method you use? Luckily GetResponse offers numerous options under the forms tab. The wizard template will be of interest to many users and is template driven offering a step by step guide. To begin with, you can choose from the considerable amount of pre-design form templates on offer, for virtually every scenario imaginable. Clicking on any of these choices will take you to the form editor. The editor works by drag and drop, and has guides to help you both position and place elements. Customizing the existing elements is relatively straight-forward, with a majority of the design created through the sidebar. So…. not at all bad, but what about form behavior? Any form designed in the wizard can be inserted anywhere within your site. But remember it’s just an online form. If you want things such as fixed-header forms, exit-intent popups, or animated overlays, then you will have to use a list builder app. Sadly, there is no way to view these form templates on a mobile device, at least not from within the editor itself — unlike with email templates. For some bizarre reason, they appeared very small in the center of the page, rather than adapting to the screen dimensions. For those of you that wish, you can create a form from scratch by using HTML. This is way more complex and is not something I can envisage many people using. However, the capability is there if desired. If you are someone who has already been using the likes of LeadPages or Thrive Architect, then this won’t apply. Verdict: The standard form and templates are adequate, it's when you want to add form behaviors and popups that the system feels limited. We all know that having a selection of email templates not only saves you time, but is also a way to keep the consistency of your brand. It’s also vital that they are responsive, so that it doesn’t matter what device your customers are viewing them on, your email won’t disappoint. GetResponse comes jammed with 200 pre-designed email templates spread over different industries. Admittedly, not all of them are racy, but you can find some hidden gems amongst the pile. Clicking on any of these templates will open the editor. It’s not that bad, and I was able to make some modifications without any trouble, but it could benefit from being a bit more intuitive. It’s not apparent what all these buttons can do without testing them? I know I struggled! The one thing I did like was the addition of an interactive, responsive view. This sits on the right side of the screen and updates in real-time as you change your template design. With most people now choosing to browse the internet and emails through a mobile device, I surely don’t need to tell you how crucial this is. Verdict: The template editor needs a little care and attention, but with the mobile view and a huge template library, I have to give it some credit. Can GetResponse communicate with third party applications? GetResponse has the capability to integrate with 178 different apps and services, including the likes of Shopify, PayPal, and Zoho. So, how does this truly compare to other email marketing providers on the market today? With regards to the numbers, it can’t compete with tools such as Mailchimp, as they offer around 700 possible integrations. It’s good to know that GetResponse is supported by Zapier, which can open doors to various other integrations. Verdict: If your existing setup relies on some confusing applications, and if you’re not sure, it’s always recommended you subscribe to the service. How does GetResponse rate at being able to review its data analytics so that it helps you to improve the overall effectiveness of your email marketing and also improve your profits?….. Here, you can enable click-tracking and Google Analytics. The Google Analytics integration is cool, as it enables you to move data to the free software with one simple click. There are also some appealing additions such as ROI tracking and real-time tracking. This gives GetResponse an advantage over some of the other tools out there today. Apart from the expected, there was not much choice of reports available. If you compare this to what’s on offer from the tool Drip, as just an example, then you can see its shortcomings. Here is a detailed report from Drip. Verdict: Neat tracking features that I’m sure plenty will find useful, although these features may disappoint if you’re looking to dig into the analytics of your email marketing campaigns. The support you get with GetResponse comes in the forms of FAQ’s, webinars, tutorials, and downloads. As for many of us, the knowledge base is where we would usually start. For some strange reason, you have to disable Adblock to do this, making this highly annoying! Several of the results may then guide you through a video, together with a transcript, which is incredibly helpful. In all fairness, this is quite well documented, and it’s what I would have expected from one of the longer running tools out there in the marketplace. Let’s not forget about the community and Facebook group which is quite active. Posts to Twitter on a daily basis provide links to articles and tips. Don’t forget live chat! You honestly can’t beat speaking to an actual human! I managed to get through to an agent in just a few minutes, who answered my query swiftly and efficiently. Note to remember– there is always phone support within business hours. Verdict: I really can’t fault the support options available. Enterprise – (you will need to speak to a sales rep for this plan and is for customers with over 10,000 marketing email lists – prices start at $1199 depending upon your requirements). Within these, there are several additional types (based on the size of your email marketing list) to choose from. The good thing with GetResponse is that they do offer you a discount if you pay upfront (up to 12 months, you get 18% discount, and if you pay for 2 years, you will be entitled to 30% discount). This is extremely generous compared to some of the email marketing providers out there! Landing pages – If you wish to take advantage of using landing pages for split testing as well as unlimited views, you will need to take the ‘Pro’ or ‘Max’ plan. Webinars – this functionality isn’t available on the ‘Email’ plan. Also, the amount of attendees is capped for both ‘Pro’ and ‘Max’ plans (currently ‘Pro’ is capped at 100 and ‘Max’ is capped at 500). 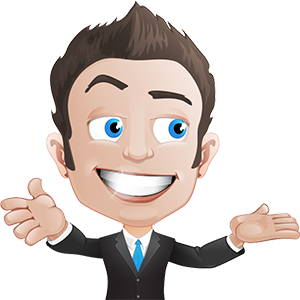 Users – With the ‘Email’ plan, you are allowed only one user account, with ‘Pro’, you get 3, with ‘Max’, you get 5 and with ‘Enterprise’, you can have 10 users. With our testing, the open rate for GetResponse came in at a respectable 34.77%. GetResponse may not be the right tool for everyone, so let’s get to the bottom of precisely who this tool is suitable for. If you’re on a budget, then you may find what you’re looking for with GetResponse. As you can see, GetResponse is one of the cheaper email marketing tools, at the lower end of the subscriber count. GetResponse, together with MailChimp, is the cheapest option for 1,000 subscribers, making this an excellent choice if your lists are smaller. Although GetResponse did perform quite well in my testing, I can’t say I found it better than MailChimp, who are currently offering an excellent free plan. However, if you want a more tag-centric type of system, which can offer more with automation, then I would recommend GetResponse. If these things are not important, then Mailchimp would be your better option. If you’re just starting out then, GetResponse isn’t the worst option out there. It’s not as simple as some other tools I’ve tested, but it is relatively easy to use. For the beginner, there are a number of other tools which are better suited to the novice’s level of experience. Once again, MailChimp is the better choice for the beginner, as it’s so easy to use. I would have to say that Convertkit is also a good option for newcomers. It may not have some features that more experienced email marketers are looking for, but it is still very capable and easy to use overall. With live chat, phone, email and social media support you won’t have to wait long to get your question answered. Small businesses can customize the workflow to what befits their marketing scenario and be able to launch with just a few clicks. They are designed to be able to convert the leads to greater effect and to gain more repeat purchases. As one of the older email marketing tools available it did feel a little dated, however, I was impressed by its capabilities. GetResponse does hold its own next to its competitors, as the results show, however in my opinion, there are better options, such as MailChimp and ConvertKit. Are you going to purchase GetReponse or are you already using it? Feel free to leave a comment below and we’ll see if I can help…. or check out the other reviews like MailChimp or ConvertKit.